where is , the component of . which, used inside 4.9, give the optimal . 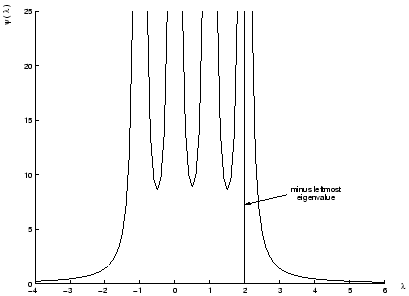 Figure 4.1: A plot of for positive definite. We plot the function in Figure 4.2. Recall that is defined as the least eigenvalue of . We are only interested in values of , that is . For value of , we have NOT positive definite. This is forbidden due to theorem 2. We can see that for any value of , there is a corresponding value of . Geometrically, H is indefinite, so the model function is unbounded from below. Thus the solution lies on the trust-region boundary. For a given , found using 4.14, we obtain the optimal using 4.9. Figure 4.2: A plot of for indefinite. We plot the function in Figure 4.3. Again, , is forbidden due to theorem 2. If, , there is no acceptable value of . This difficulty can only arise when is orthogonal to the space , of eigenvectors corresponding to the most negative eigenvalue of . 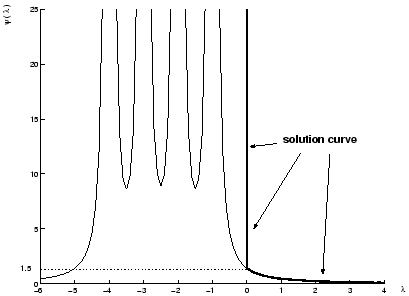 When , then equation 4.9 has a limiting solution , where . 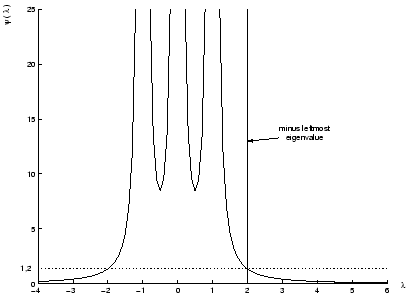 Figure 4.3: A plot of for semi-definite and singular(hard case). holds for any value of the scalar . The value of can be chosen so that . There are two roots to this equation: and . We evaluate the model at these two points and choose as solution , the lowest one.